We believe poverty is the root cause of violence and MJE is focused on educating individuals who are victims of violence to set financial goals and improve their financial future. 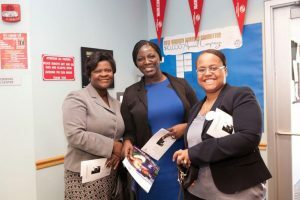 The Financial Education program is designed to help low-income individuals understand the importance of establishing and maintaining smart, measurable, attainable, realistic, timely financial goals. MJE continues to provide this training to inmates within the Suffolk County House of Corrections; a re-entry initiative to reduce recidivism in Suffolk County. This year, MJE also provided this program to residents of Mass Housing; affordable housing properties in Roxbury, Dorchester and Mattapan.